Nurses must encourage families to take a more hands-on role in the care of older relatives, a leading dementia expert has said. Professor June Andrews said families often ‘expected nurses to do everything’ when a loved one was in hospital, when they could be encouraged to help with ensuring their relative was eating, drinking and taking medication. She said guiding families in the kind of care their relative needed would help them cope better when they went home and reduce readmissions. 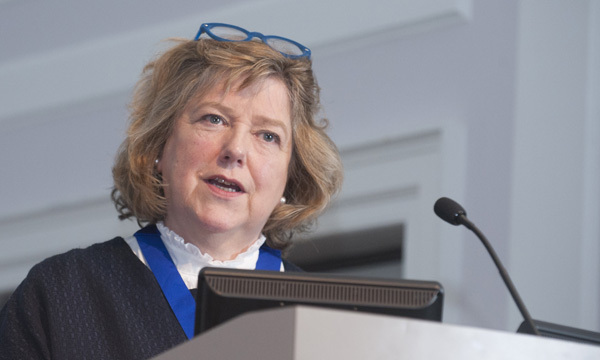 ‘We have got to recruit and train families to look after their own because that is the only way forward,’ professor Andrews told an RCN fellows event on the challenges of an ageing population on 14 July. Also on the panel were broadcaster and Labour peer Baroness Joan Bakewell, Care England nurse adviser Deborah Sturdy and chair of the RCN Older People’s Forum Vicki Leah. Other topics included introducing a nurse-led course for older patients on what to expect from the ageing process. The RCN event followed a new report by the Care Quality Commission (CQC), which found better integrated health and social care services were needed to support older people’s care needs. The CQC inspected health and social care services in eight areas in England, and found that despite a widespread commitment to deliver integrated care, many leaders lacked knowledge about how to put it into practice. RCN head of nursing practice JP Nolan said there had been much talk about improving integration of services but little meaningful action. ‘It is the most vulnerable people using the health service who are paying the price,’ Mr Nolan added.